Brave has some of the best Pixar film music since Ratatouille, and an excellent depiction of a lute — placing it alongside Ghibli’s Whisper Of The Heart for interesting (non-tropic) #film music. Robots. Lots and lots of robots. One of them looks after birds nests and picks flowers. Others destroy things with their crazy laser vision. My point being that anyone who demands any more than this from a film probably doesn’t deserve it. Sounds a lot like UI design to me. 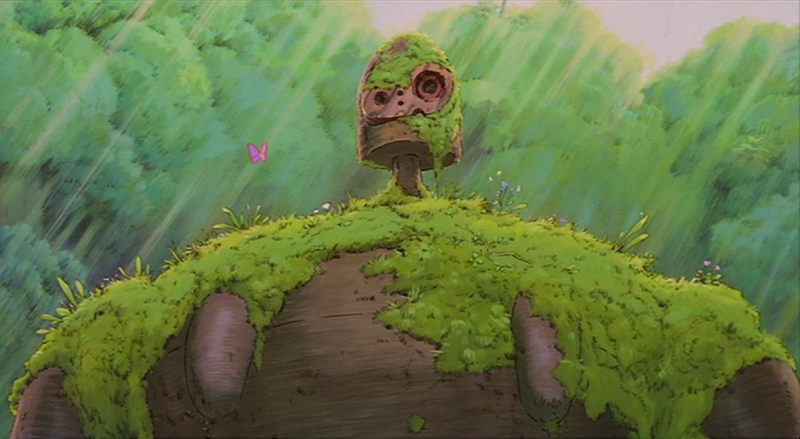 Finished #watching Nausicaa of the Valley of Wind. Beautiful film. One day I will be like Yupa and talk using only my facial hair. Is it a hallmark of Ghibli films that I don't remember the actual storyline, just small, nonsensical plot details — I.E. exactly the opposite of how remembering is supposed to work?